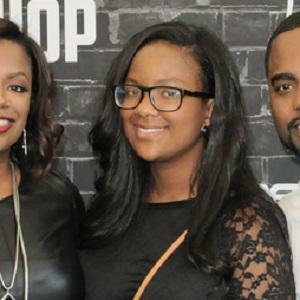 Daughter of musician and television personality Kandi Burruss and Burruss' boyfriend at the time, Russell Spencer. She has occasionally been featured in her mother's reality television series, The Real Housewives of Atlanta. Her mother grew up in East Point, Georgia, and first appeared on television at the age of fifteen. Her mother uploaded a video of her, at the age of seven, performing a song by Carrie Underwood. Her mother married Real Housewives of Atlanta producer Todd Tucker in 2014. Her mother and step-father welcomed a new baby boy in January 2016. Her father, Russell "Block" Spencer, headed a music label called Block Entertainment that helped launch the career of the R&B singer Ciara.